2019 schedule will be posted as we get accepted. Check back for show announcements!! If you are interested in showing our work feel free to contact us. 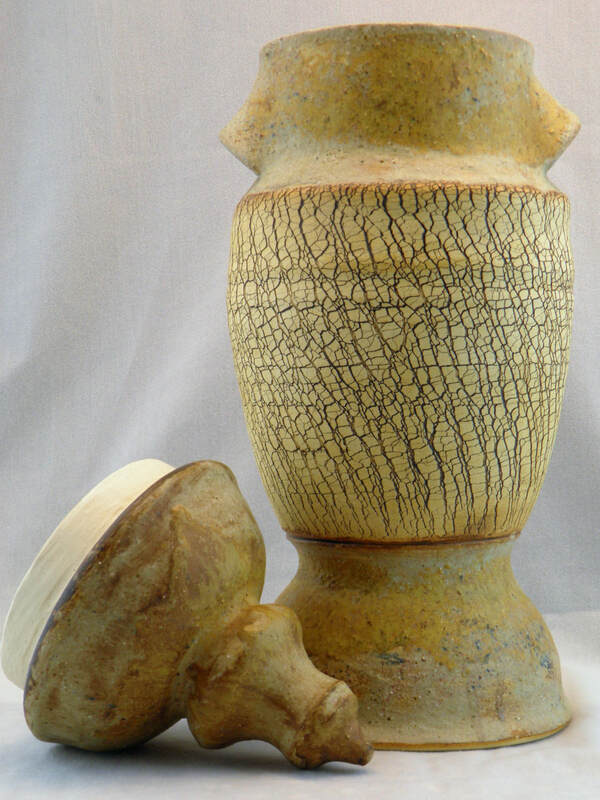 One of our Apothecary Urns, mid-range stoneware, expanded texture and pure wood ash as glaze. Thrown in 4 sections and assembled. On display at the Washington Pavilion from Feb 1st - April 7th. With the live auction on the night of April 14th. We were honored to be asked to be a contributing artist in the book, Pit Firing Ceramics: Modern Methods, Ancient Traditions by Dawn Whitehand. 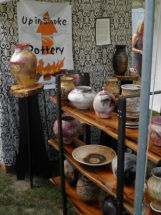 It is probably the best book on modern pit firing with some world known potters. Click the photo for more information and to purchase.